Ensure you get the best floors for your home and come shop at Eddy’s Flooring America today! We have a huge selection of vinyl sheet flooring in Worcesterthat will definitely upgrade the look of your home. Plus, our prices can't be beat! 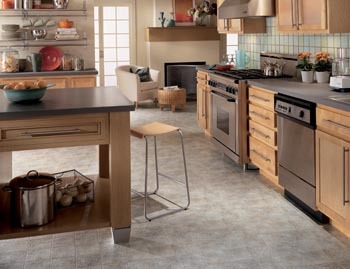 Vinyl floor tile is an inexpensive flooring option that's suitable for any home. We offer an elite selection so you can pick from the best brands around. Why wait? Come in now to begin the flooring selection process. Why do so many homeowners select vinyl tile flooring? Because it's a durable option that's built to last! You can rely on this flooring to perform well in high-traffic areas. Do you have children or pets? Vinyl floors are resistant to moisture, scuffs and stains so you won't have to worry about wear and tear. This flooring also absorbs the constant flow of traffic and offers a comfortable walking surface. Vinyl flooring tiles come in multiple patterns and colors that match any design style. Need more information? Ask one of our consultation specialists for more information today! Eddy’s Flooring America also offers specialized installation service to make sure your vinyl flooring looks just like you hoped! We have extensive experience and knowledge in flooring installation and guarantee our work. Once you purchase your new floors, set up an appointment time for service. Call <PHONE> to find out more about our vinyl floor covering! We proudly serve the communities of Worcester, Leicester, Auburn, Sutton, Grafton, Northbridge, Shrewsbury, Marlborough, Holden, Paxton and Spencer, Massachusetts.